Salivary gland oncocytoma, light micrograph. Section through an area of tumour. Oncocytomas make up 1% of salivary gland tumours and are benign. The large round oncocytes (red) are epithelial in origin. Magnification: x 150 when printed at 10 centimetres wide. 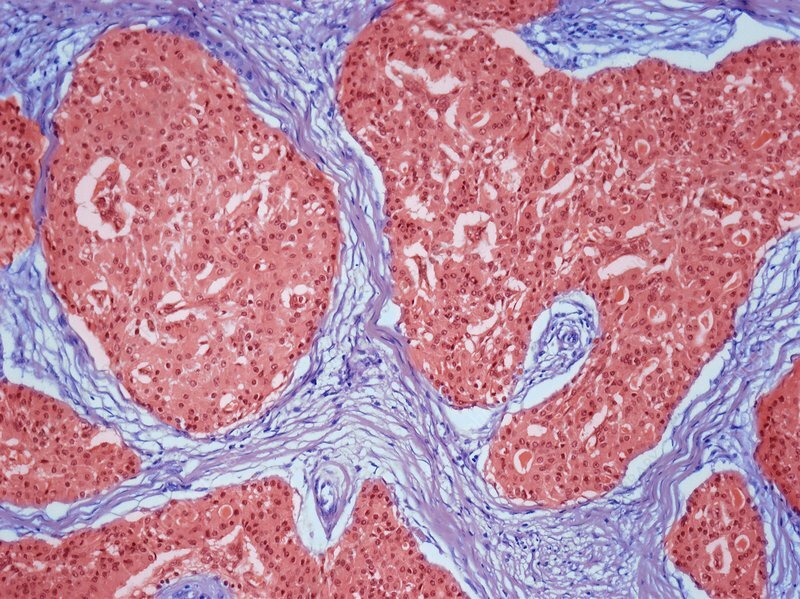 Human tissue.